Facility that sorts single stream recycling. THE FOLLOWING MATERIALS ARE ACCEPTED AT DODGE COUNTY RECYCLING DROP-OFF DEPOTS. - B undle in Paper sacks, do not tie, NO PLASTIC BAGS! - Folding cartons are cereal or cracker-type boxes, etc. - Notebook, copy & computer paper, letterhead, envelopes, etc. - Bundle in paper sacks - NO PLASTIC BAGS, please! - NO toys, car parts, diapers, furniture, laundry baskets, styrofoam, or car seats. Please! CURBSIDE RECYCLING SERVICE is provided by licensed haulers and they are required by the County to provide this service. Most haulers provide this service free! It’s easy, just call your hauler and ask for it! Have them provide you with a listing of what can and cannot go into your curbside bin. Tuesday - Friday 8 a.m. to 3 p.m. 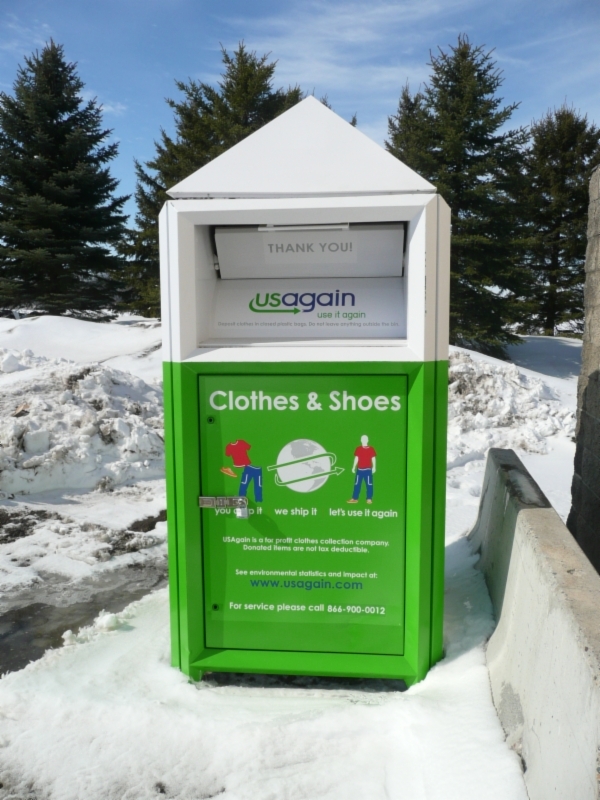 The Recycling Center, drop box locations and most haulers accept commingled recycling. This means that recycled materials can be put together in the same container. If you have a hauler - they should provide instructions for their recycling requirements. See below for the drop box locations and if separating is required at the location that you use - please follow instructions on the Drop Boxes. Berne -All recyclables commingled in one box. Next to the church building. Claremont - Cardboard and paper separated in one box and all other recycling in the 2nd box. Dodge Center - Cardboard and paper separated in one box and all other recycling in the 2nd box. Hayfield - Cardboard and paper separated in one box and all other recycling in the 2nd box. Kasson/Mantorville - Separate cardboard. All other items can go together. West Concord- Cardboard and paper separated in one box and all other recycling in the 2nd box. Ellington, Old Concord, Westfield and Vernon - All recyclables commingled in one box. PLEASE read the signs for what can and cannot go in the drop boxes. Please be sure to REMOVE ANY STYROFOAM AND PLASTIC FROM CARDBOARD BOXES before putting them into the recycling bin. PLEASE NOTE: Misuse of these containers may result in their removal. ELECTRONIC WASTE cannot go in the trash. - If the item is broken down or taken apart an additional $25 special handling fee will be charged. - Fees are subject to change. Click here to see what is acceptable electronic waste and what is not classified as electronic waste. Please inquire if non-qualified electronics are able to be recycled another way. For further information call 507-634-7875. - Dodge County Recycling Center located south of the building- next to the Self Serve Waste Depot (green/tan) building. - Hayfield by the Recycling drop boxes. - Claremont by the Recycling drop boxes. - West Concord by the Recycling drop boxes. Minnesota Materials Exchange - The Minnesota Materials Exchange program is a free service that links organizations that have reusable goods they no longer need to those who can use them. By providing a business reuse network, the Materials Exchange program helps prevent usable materials from becoming waste. Click here to visit the website. THINKING OF DONATING YOUR CAR FOR REUSE?